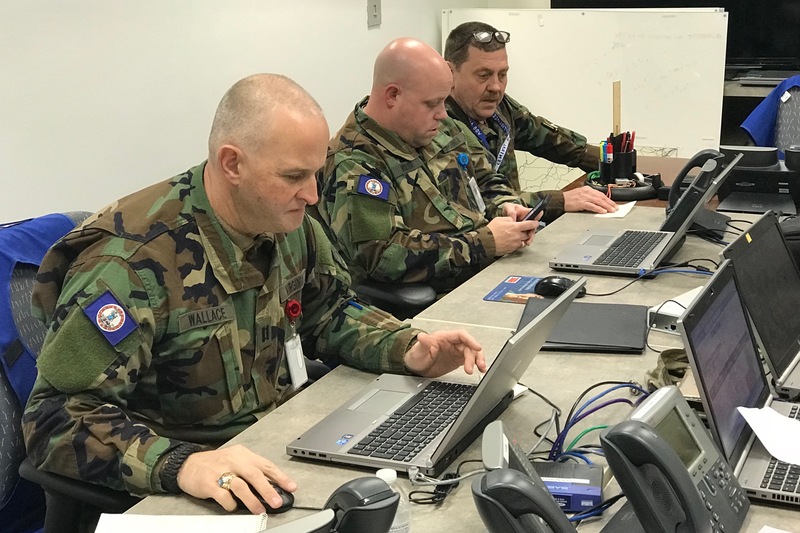 Members of the Virginia Defense Force assist with winter storm response operations mission tracking Jan. 4, 2018, at the Virginia Emergency Operations Center in the Virginia National Guard’s Emergency Support Function 16 cell in Richmond, Virginia. The Virginia Defense Force is expanding its capabilities and continues to build partnerships in order to better support their fellow Virginians. 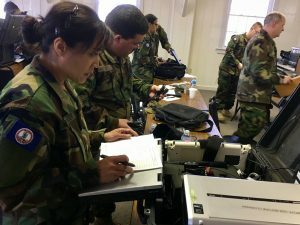 The all-volunteer reserve of the Virginia National Guard is looking to grow from its current strength of approximately 300 personnel to its full authorized strength of 750, add additional mission sets and continue discussions with organizations such as the Civil Air Patrol and U.S. Coast Guard Auxiliary for training and exercise opportunities. Want to know more? Please visit the Frequently Asked Questions page or Contact the VDF Recruiters with specific questions. If you are ready to submit your information to start the recruiting process, please visit the VDF Recruit Info Form page. Membership in the VDF is open to U.S citizens and legal residents with or without prior military service, ages 16 to 65. Members must have a valid social security number and no felony convictions. More than 160 members of the Virginia Defense Force conduct hands-on training training to improve their individual skills in the areas of interoperable communications, incident management, traffic control and staff operations and planning April 1, 2017, at Fort Pickett, Virginia. 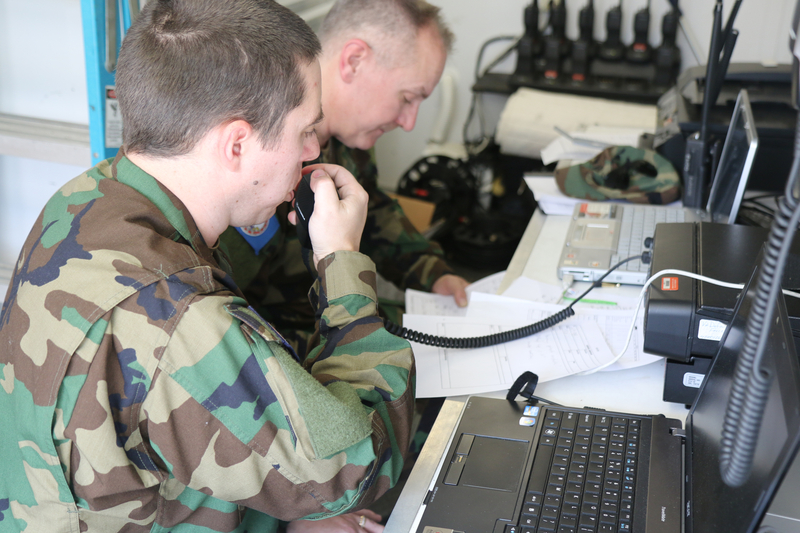 In addition to current mission sets like interoperable communications, operations center augmentation, incident management assistance and public information, Carlitti explained the VDF created civil support security platoons that perform security tasks such as access control, gate sentry and traffic control as well as operate radio systems used by law enforcement, support commodity distribution points and conduct light urban and wilderness search and rescue. The VDF is also growing cyber defense capabilities and has assisted with numerous Virginia National Guard network security assessments for Virginia localities in a state active duty status, and it is also looking to expand its ability to provide medical support, Carlitti said. Please visit the VDF Units page for a map of unit locations. Members of the Virginia Defense Force in Richmond, Virginia, operate a Mobile Communication Platform trailer used to communicate with VDF elements in Winchester and Lynchburg Feb. 25, 2017, during a statewide communications exercise. In recent years, members of the VDF volunteered in their communities assisting organizers and law enforcement at events like the Virginia War Memorial during Veterans Day and Memorial Day, the Winchester Apple Blossom Festival, the Lynchburg Air Show and the World War II Commemoration in Richmond. 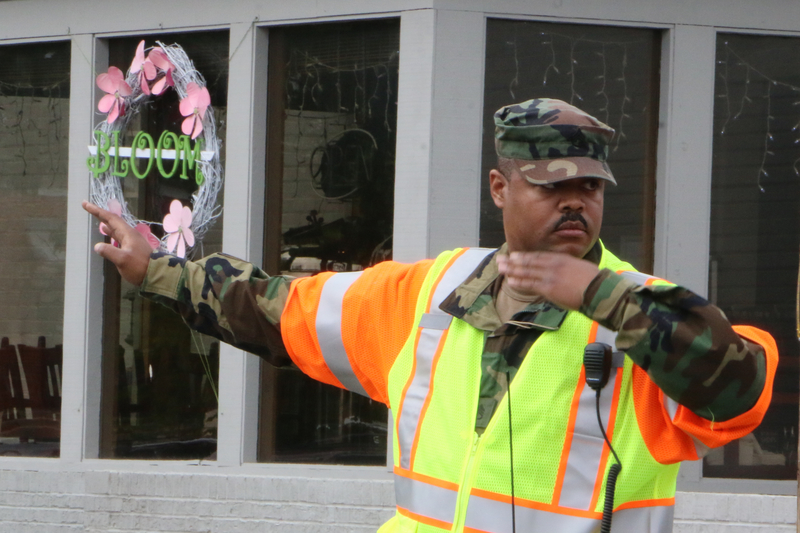 Members of the Virginia Defense Force operate traffic control points and provide mission command support May 5, 2017, at the 90th Shenandoah Apple Blossom Festival in Winchester, Virginia. VDF members bring a wide variety of military, law enforcement, firefighting, emergency medical services, network security, radio communications and other civilian skills to mission sets including emergency communications support, operations center augmentation, resource management, operational planning, incident management assistance, cyber defense, access control and public information. While some VDF members are retired military or first responders, many are younger people who looking to gain leadership experience and new skills. 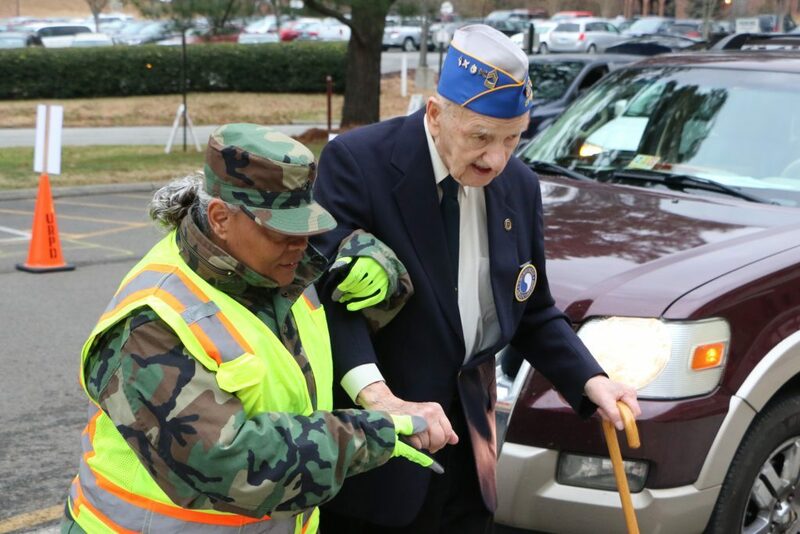 A member of the Virginia Defense Force assists a veteran at the Virginia World War I and World War II Commemoration Commission Tribute to Veterans Dec. 8, 2016, in Richmond, Virginia.